If you’re looking for an online Ph.D. program in psychology, your choices are limited at present. In this ranking, we highlight the top five online Ph.D. programs in psychology out of approximately 12 offered in the United States currently. There are so few because it takes time for universities to develop distance learning strategies that meet state licensure requirements or APA accreditation requirements. The APA’s residency requirements make achieving accreditation for online programs a daunting task. And clinical psychologists in independent practices must be licensed by their state. Each state has different education requirements, and while schools can strive to meet the requirements of as many states as possible, it’s quite difficult. Now, not every career in psychology requires an APA accredited Ph.D. or state licensure. Later in the article, we provide more detail about APA accreditation, state licensure, the significance of each, and how to determine whether or not your career goals require you to pursue either. However, do not despair. There is currently one extremely innovative APA-accredited online program in our ranking, and there are a few programs that meet the education requirements for licensure one or more states. So even if your goal does require either APA accreditation, or state licensure, you should find this ranking useful. Fielding Graduate University offers the only APA-accredited online Ph.D. in Psychology. Fielding University is the model for schools that intend to offer an APA-accredited online Ph.D. in psychology. Fielding University has managed to offer a true distance program while meeting the APA’s residency requirements. This is accomplished by breaking the United States down into geographic regions, and organizing residency sessions once per month. Each student attends the session for their region. Fielding’s innovative program manages to combine the best elements of traditional programs and online programs and is currently the only online Ph.D. in psychology accredited by the APA. This means it’s also the only online program of its kind that can satisfy the licensure requirements of states that require the applicant to hold a doctorate from an APA-accredited program, or have a residency period built into the education requirements. Saybrook University is a WASC-accredited online graduate university offering an online Ph.D. in Psychology. 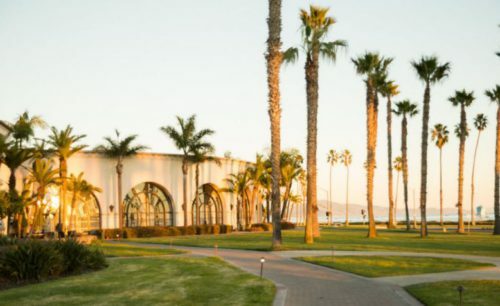 Saybrook University’s online Ph.D. in Clinical Psychology currently meets the requirements of licensure in the states of Alaska, Arizona, California, Delaware, Hawaii, New York, Ohio, Texas, Vermont, Washington, West Virginia, and Wisconsin. Students in other states should check their state licensing board educational requirements. This program takes a holistic approach to the practice of psychology and develops student skills in data analysis and meta-analysis, psychotherapy, developmental psychology, child and adolescent psychology, multi-cultural psychology, and the humanistic-integrative approach to psychology. The online Ph.D. in Psychology program at University of the Cumberlands is offered about half online and half in-person hybrid format. University of the Cumberlands offers hybrid Ph.D. in psychology students the option of attending a four-week intensive session at the end of year one in Oxford, England. 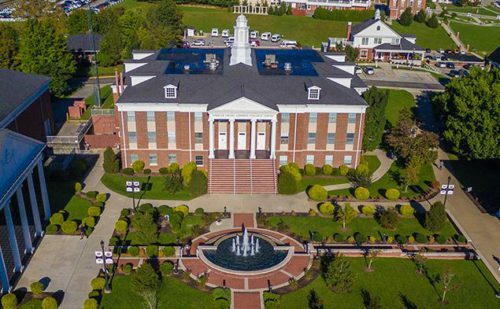 The University of the Cumberlands offers a hybrid learning program where about 50% of the courses require a face-to-face component during year two of the program which takes place over 40 weeks. University of the Cumberlands meets the requirements for licensure in the state of Kentucky, and students engage in two practicum experiences and one internship during the completion of the four-year program. The fourth year is devoted entirely to the pre-doctoral internship. While Walden has a main campus and several satellites all of its programs are available fully online or mostly online. 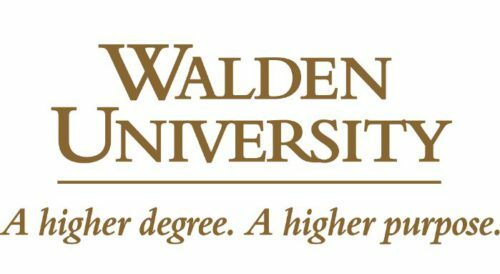 Walden University strives to meet the academic year-in-residence requirements many states place on those wishing to become licensed psychologists. This means students must attend one year of classes at Walden’s Minneapolis campus for 12 contiguous months, meaning roughly ⅓ of the program is face to face while the rest can be completed online. In addition to the academic year-in-residence there are four 4-day doctoral residencies throughout the rest of the program. Walden’s program includes two practicum experiences and four internship experiences, the most of any program ranked here. These are designed to allow students to gain supervised experience in a wide variety of professional contexts. Sofia University was originally known as the Institute of Transpersonal Psychology. Sofia University’s online Ph.D. in psychology is not a licensure program. The degree is offered almost entirely online, requiring only two face-to-face seminars per year. 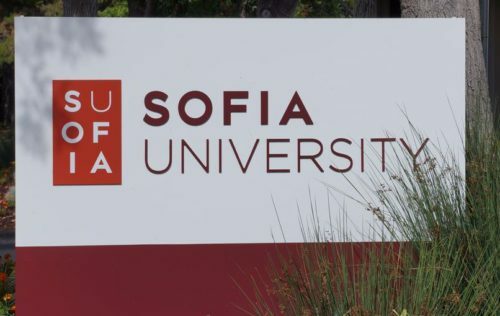 Sofia University offers both a three-year Ph.D. in psychology for those who already hold a master’s degree and a five-year program for those with a bachelor’s in psychology. The three-year program incorporates two internships while the five-year program adds and additional internship to the program. The first step toward paying for your Ph.D. in psychology, and indeed any higher education, should be to apply for federal financial aid through FAFSA. These low-cost government-backed loans and grants can make up a large portion of your tuition, even in graduate school. After that, students should consider scholarships offered by their individual schools or professional organizations. One strategy is to consider getting a job at the school where you hope to earn your degree in order to obtain a discount. Another option is to ask your employer about tuition assistance programs as many employers will invest in the professional development of valued employees. Private loans should be considered a last resort after all better funding options have been exhausted. Accreditation by the American Psychological Association is the highest level of psychology accreditation in the United States. The APA only accredits doctoral programs. Holding an APA-accredited Ph.D. in psychology means you have a great deal of flexibility in the highest echelons of the psychology profession. Whether your ambition is clinical practice, academia, or research, holding an APA-accredited degree will only help your career. Many careers in psychology require a license, but many don’t. Requirements can, again, vary from state to state. The practice of clinical psychology, in particular, requires a license. However there are many careers in government, corporations, research laboratories, academia, and non-profit organizations, that do not require a license. So before you spend a lot of extra time and effort worrying about getting licensed in your state, make sure your career goals actually require you to be a licensed psychologist. According to the Bureau of Labor Statistics the median pay for psychologists is $75,230 per year, or $36.17 per hour. There were 173,900 psychologist jobs in 2014, and projected job growth between 2014 and 2024 is 19%, a numerical of an estimated 32,500 jobs. This job growth is much faster than the average for all occupations. We awarded a points out of 100 based on the attributes of each Ph.D. program in four categories. The categories are as follows. Is the program APA accredited or currently pursuing APA accreditation? We awarded 25 points to any school with an APA-accredited online Ph.D. in psychology. We also awarded schools pursuing that accreditation (and stating so on their program page) 15 points. Does the program meet state licensure requirements for at least one state? Programs meeting state licensure requirements for at least one state were awarded 25 points. State licensure eligibility was also used to break ties. Between tied schools the better ranking was awarded to the school that met the education requirements of the most states. How much of the program is available online? How often must one travel to campus? Each school started with 25 points. Most schools require at least a minimal number of visits to campus for short intensives. Schools with longer residency requirements or requiring more visits had points deducted. Does the program require or provide opportunities for supervised practicum and internship experiences? Schools requiring or providing opportunities for supervised practicum and internship experiences were awarded 25 points. Supervised practica and internships are an essential component of Ph.D. programs in psychology and programs without these opportunities significantly limit the potential of their graduates.